Here's another ratings record the World Cup has shattered: total Internet streaming of sporting events. 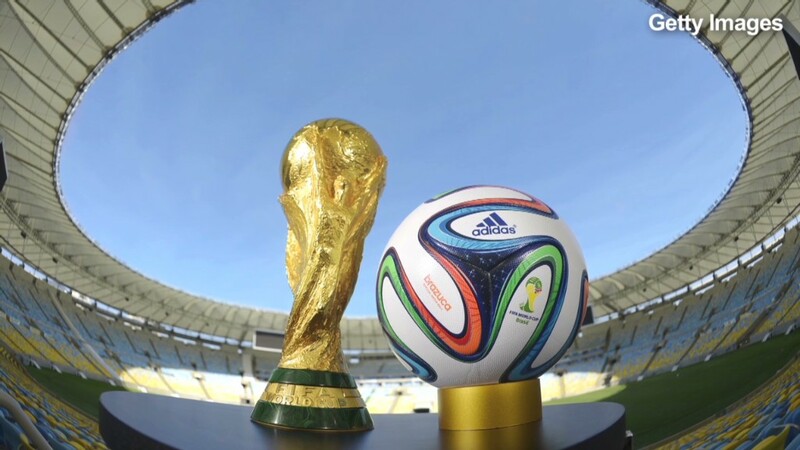 ESPN's live streams have logged 30 million viewing hours during the 2014 World Cup, enough to make the tournament the most-streamed live sporting event in the United States ever. For comparison's sake, the 2012 Summer Olympics generated 20.4 million viewing hours online, according to NBC. And 13.6 million were live. The Winter Olympics earlier this year generated 10.8 million viewing hours, with about 80% of those live. There are numerous reasons why the World Cup is bigger -- starting with the fact that live streaming is becoming more popular with each passing month as people get more comfortable with streaming apps, and companies make them easier to use. The fact that so many matches are being played during working hours in the United States also has a lot to do with it. Last Thursday's USA-Germany match actually strained some servers -- a smattering of users said the WatchESPN app was inaccessible to them during a portion of the match. ESPN said those issues were "limited," and that the match lifted WatchESPN to a new record number of simultaneous viewers -- 1.7 million toward the end of the match. The previous record had been set just a few days prior, during the USA-Portugal match. For the entirety of the USA-Germany match, WatchESPN averaged 1.05 million viewers, making the live stream about 10% as popular as the television broadcast, according to Nielsen. Nielsen's TV measurement only counts viewers at homes, so it misses all the viewing at bars, restaurants, offices, and other locations where groups gather to watch World Cup matches. Regardless, it is clear that U.S. soccer is reaching a bigger audience than it ever has, and for a sustained period of time, during this tournament. Overall, through Monday, ESPN has streamed 1.8 billion live minutes, or 29.8 million hours, according to an ESPN spokeswoman. On Tuesday, the USA-Belgium match peaked with 1.5 million simultaneous viewers through WatchESPN. That match ended in a victory for Belgium. Univision has also been live-streaming its Spanish language coverage of the matches. Sunday's Netherlands-Mexico match was streamed by an average of 303,000 viewers and watched via TV by another 10.4 million. Univision called that not only the "most-viewed soccer match in Spanish-language television history," which it was, but also "the most-viewed telecast" -- of anything! -- "in Spanish-language television history."